When I started to do this Professional Binary Robot review, I realized that there was something different about this program. It’s not quite the same as all the other crappy binary products out there. I’ve reviewed dozens of them, and they all follow the same formula and have the same sales page (in some cases, EXACTLY the same). 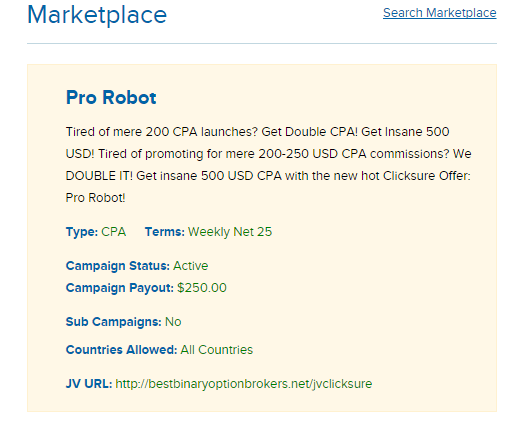 What’s different about Professional Binary Robot is that it’s not just a basic landing page with a video and sign up form, you get to see a lot more, including some handy video testimonials. Hey, the product creator even SAYS that they’re different from the others. 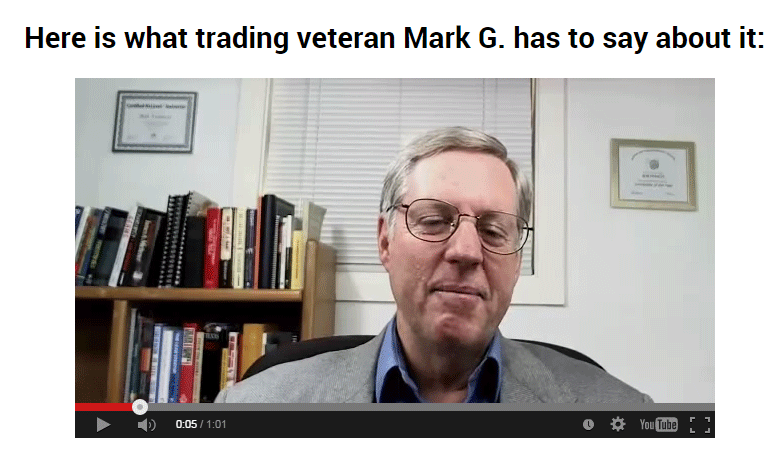 He points out how the others are either scams, or require you to sit in front of your computer 24/7 in order to take action on the signals they send you. He’s not wrong there, but are we wrong to assume that this product is really that different? Does it actually get results? Can absolutely anybody get rich off trading with this thing? Or deep down, is it really just the same old scam? Well, let’s dig a little deeper. What Is Professional Binary Robot? George S has been trading for over 30 years. When binary robots first started appearing (compuer bots that do the work for you), he noticed that most of them were scams or didn’t live up to their hype. Who wouldn’t want to turn $250 in $34,000? Unfortunately, the $250 figure is the first sign that this product is the same as the other scams out there. They always require a deposit of $250 into your broker account, which I might add, is non-refundable. You can’t withdraw any money until you’ve made X number of trades. Does The Program Add Up? So once you dig a little deeper and see more about this product, you’re naturally going to want to check out the testimonial videos on the site. they seem great, and speak to exactly the sort of questions we have. 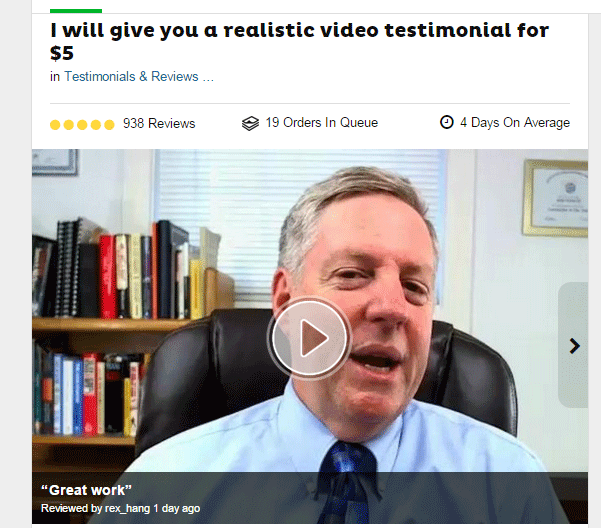 Well, I can’t comment on the final two, but I was able to find the first two “Actors” advertising their services on Fiverr.com. 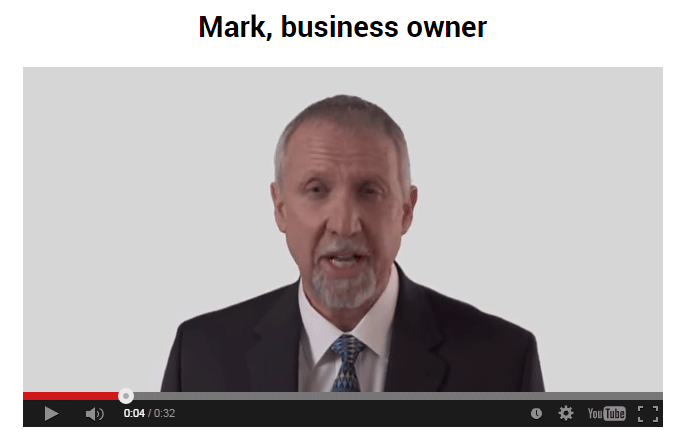 And here’s HIS fiverr.com ad. 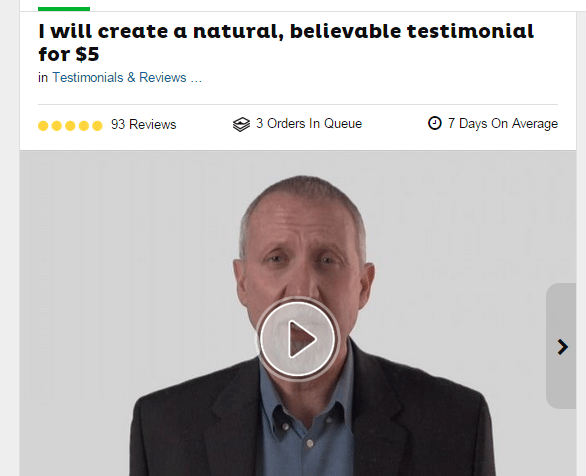 Why would they go to all that effort to create fake testimonials, create fake screenshots of earnings, a fake back-story about trading software, when they’re giving it away for free? The whole reason they give their “robot” away for free is the best part of the charade. If it was $47 or something like that, we’d smell a rat and run a mile, and also, we’d be able to claim a refund. By giving it away for free, we’re willing to believe that little bit more. Just enough to give it a try. Since we think “What do we have to lose?” we are more than happy to sign up, get the free software (which does nothing), and deposit $250 into a brokerage account. …and THAT’S how the scam works. Once we’ve deposited that $250, the broker will give “George S.” his big commission of $200 or more. He’ll then not have to worry abut giving you a refund, because he’s not taken any money from you. You deposited it to the broker account, and their terms of service prevent you from getting it out again until you’ve made a certain amount of trades. Since you know nothing about trading, and your magic robot is nothing more than a trading app, you will ultimately lose your money. Not so “free” now, is it? By the way, here’s a snippet of their Joint Venture page, where they talk about the commissions they’re offering to people to help promote it. If there are only a limited number of beta spots available, why do they need lots of affiliates to promote the thing for them? Oh right, because they’re just doing this to make as much money from everyone as possible. I almost forgot. So to conclude, while this binary options program might have a slightly different sales page, and a slightly different angle in its promotion, it still works exactly the same way, it tricks you into thinking you’ve finally found the one software that works, and then slaps you in the face with it. Not worth your time, seriously.